Rep. Patrick Meehan, R-Pa., announced his resignation Friday over a House Committee on Ethics investigation into sexual harassment allegations. Meehan said that in addition to his immediate resignation, he plans to repay $39,000 he used to settle allegations out of his office budget. He said the repayment would be made within 30 days of his departure from the House. "While I do believe I would be exonerated of any wrongdoing, I also did not want to put my staff through the rigors of an ethics committee investigation and believed it was best for them to have a head start on new employment rather than being caught up in an inquiry," he said. "And since I have chosen to resign, the inquiry will not become a burden to taxpayers and committee staff." A former aide accused Meehan of sexual harassment, which the lawmaker denied. He did say he told the aide she was his "soul mate." Meehan's departure means the seat to represent Pennsylvania's 7th District could turn blue after a recent redrawing of the state's congressional map. "Though I wish my time in Congress would have finished in a more satisfying manner, I am proud of our accomplishments and thank the residents of my district for their confidence in me over the last eight years. 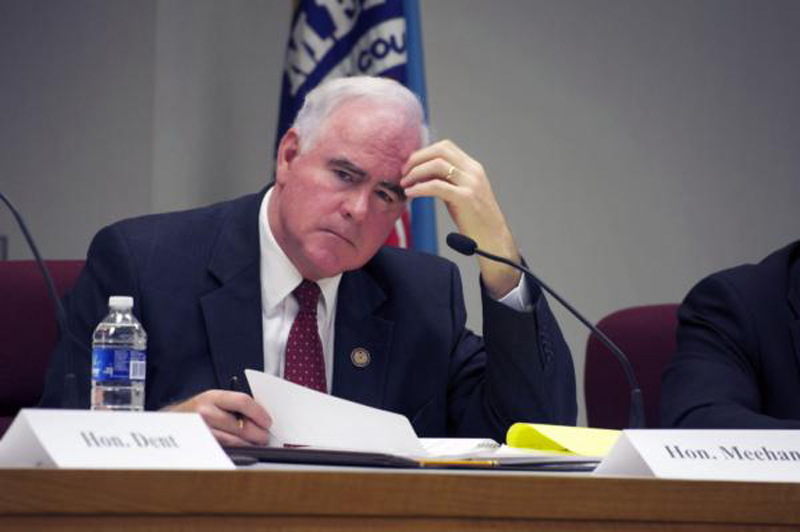 I recognize that there are constituents who are disappointed in the manner in which I handled the situation that lead to my decision not to seek re-election and wish I had done better by them," Meehan said.